How WCC’18 Round 12 Could Have Ended? A lot of people have been heavily criticizing Magnus Carlsen for offering a draw in a clearly winning position in Round 12 of the World Chess Championship 2018 against Fabiano Caruana. Others are mum and reserved their opinion after the tiebreaks. But how “winning” Carlsen really was if he opted to continue with the play? From these results, I’d say Magnus Carlsen, playing as black, and at his caliber, had an 80:20 chance of winning this game. The tiebreak games would not have been necessary. 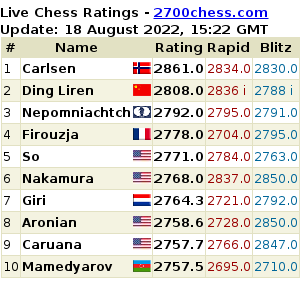 And the Carlsen victory would have been more convincing.